Plenty of Seating for Reading or Socializing. Enjoy Meals on the Patio and Sunsets Over the Lake. Fish or Boat from Your Back Yard! Don't Miss Our Gorgeous Sunsets! Cool Off with an Afternoon Swim. Kayak From Your Dock to the Bay. Enjoy Time at the Beach - Just a Short Stroll Away. 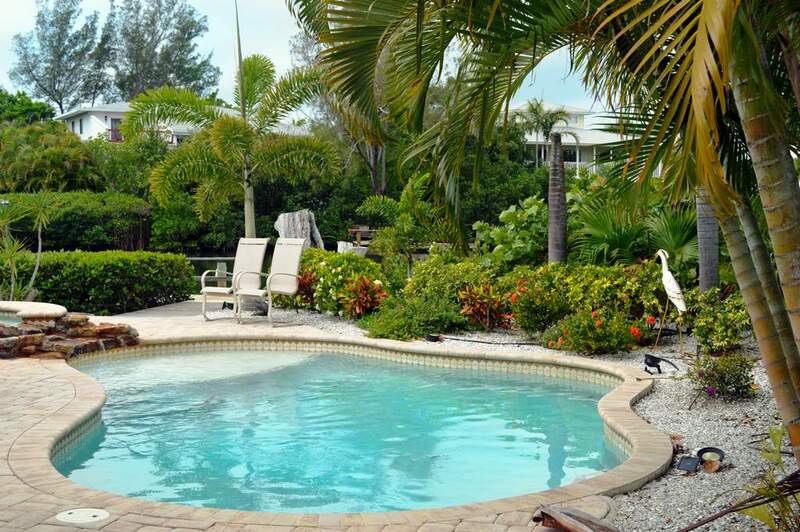 Heated Pool & Spa FREE WiFi & Trolley Close to Beach Dock your Boat!